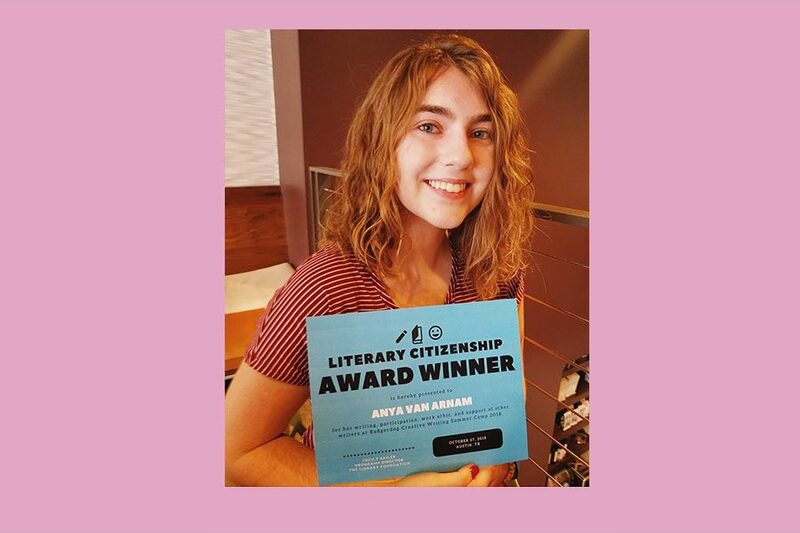 Sophomore Anya Van Arnam displays her award after a summer of writing and sharing poetry at Badgerdog Creative Writing Summer Camp. She began writing in eighth grade and after attending the camp, decided to publish four of her pieces. "I came in there thinking that I was terrible at poetry," Van Arnam said. "I thought I was the worst poet alive, then I started doing some exercises, writing off of some prompts and gradually my poetry became better to where I actually enjoyed it a lot." 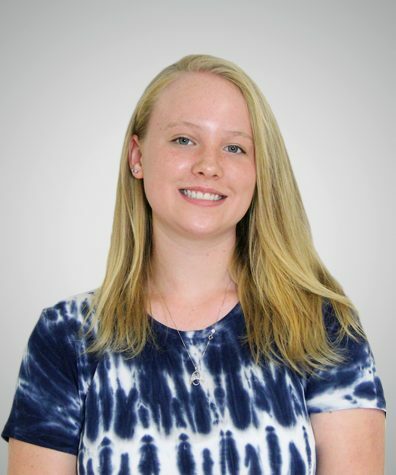 Using only a pencil and a piece of paper, sophomore Anya Van Arnam has discovered her talent in inspiring people through poetry. With four of her pieces already published through The Austin Internation Poetry Festival and a few independent anthologies, she continues to write and practice her skills, motivated by her morals, daily life, and her own ability to influence people. Van Arnam began writing in eighth grade. At first, she said it was hard for her to find the fun in writing and sharing poetry. It wasn’t until she attended Badgerdog Creative Writing Summer Camp that she began to discover and master her own talent. During the camp, she was required to publish one of her poems through the Badgerdog Publishing company and she had to share her work in front of an audience. When she realized this, Van Arnam said that school presentations seemed a little less intimidating. Van Arnam said that eventually her performances became a big component in her poetry and gave her a chance to voice her views. She said she began to enjoy sharing her work and seeing how it moved people in the audience. For beginning writers, Van Arnam said that the best thing to do is write and practice as often as possible in order to improve skill.